Financial planning and everything associated with it can be stressful and complicated, even off-putting. For a financial services brand like TIAA—which just dropped the "CREF" from TIAA-CREF—that can present a marketing challenge. The company's new campaign, shortened name, new logo and revamped website are intended to present a financial services brand that's simple, maybe even a little fun. "This is a new way to engage with millions of people to help them along on their journey," said Connie Weaver, TIAA's chief marketing officer, of the company's messaging overhaul. "Many people are intimidated by the investment portion of financial services. You have to meet people where they are; they care about their problems, and they don't want someone to tell them about diversification. If they don't understand what that is, that makes people feel bad, and they shut down." 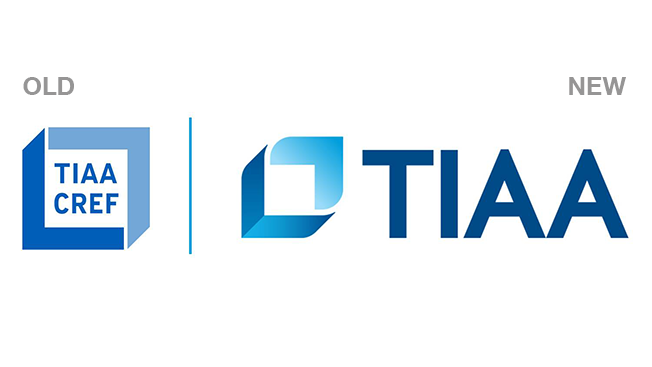 Founded in 1918, TIAA provides financial planning services to people working in fields like education, healthcare, nonprofits and government agencies. According to Weaver, the name "TIAA-CREF" communicated complexity to consumers and that's the opposite of what it wants to convey. The new campaign—a collaboration with The Martin Agency, Frog, Firstborn and Weber Shandwick—is meant to communicate simplicity. New television spots, from The Martin Agency, which landed the account following a review in July 2013, roll out next week.